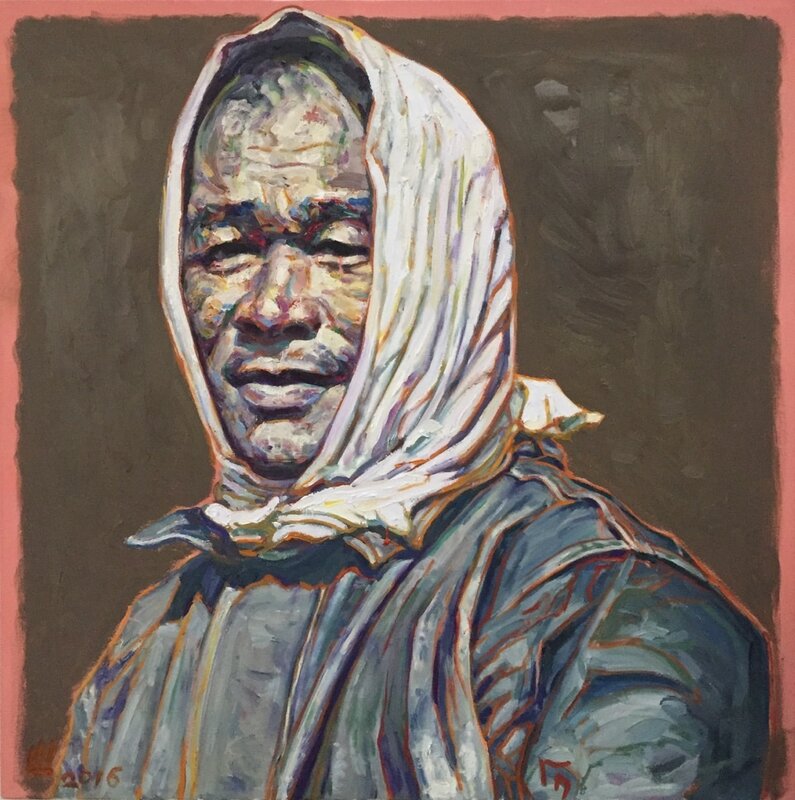 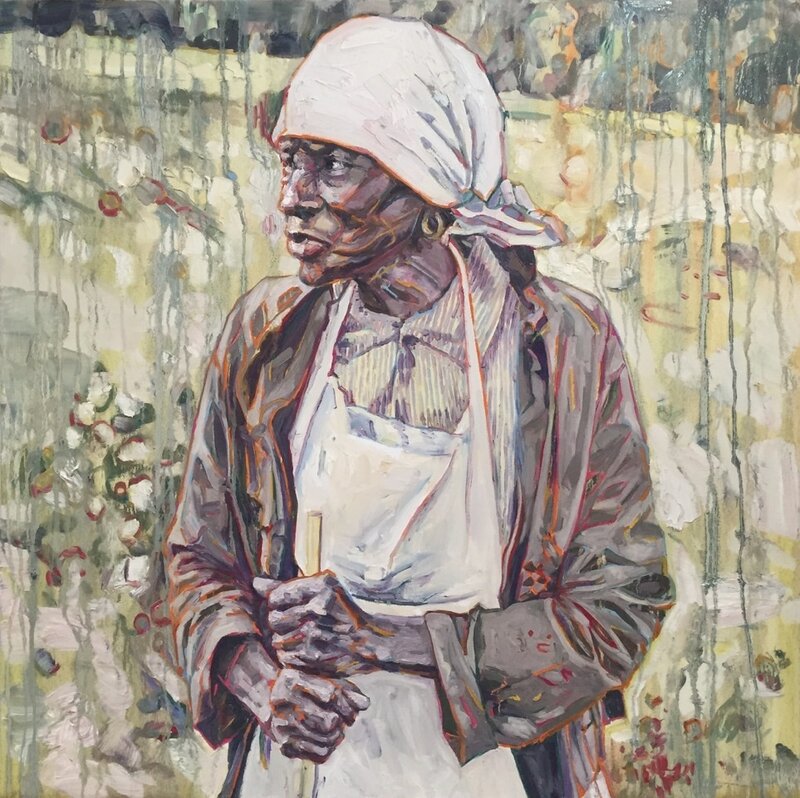 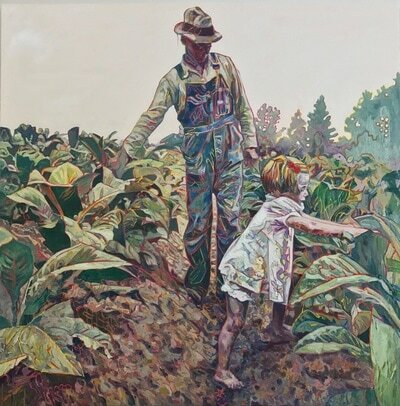 Liu’s newest paintings are based upon the Dustbowl and Depression era photographs of American documentary photographer Dorothea Lange, whom Liu has long admired. 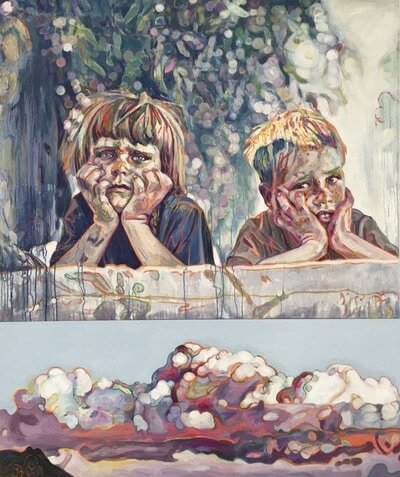 By training her attention on the displaced individuals and wandering families of the American Dustbowl, Liu finds a landscape of overarching struggle and underlying humanity that for her is familiar terrain, having been raised in China during an era (Mao’s) of epic revolution, tumult, and displacement. 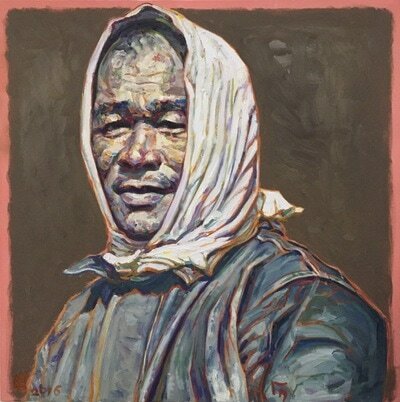 The 1930s Oakies and Bindle-stiff’s wandering like ghosts through Liu’s new paintings are American peasants on their way to California, the promised land. 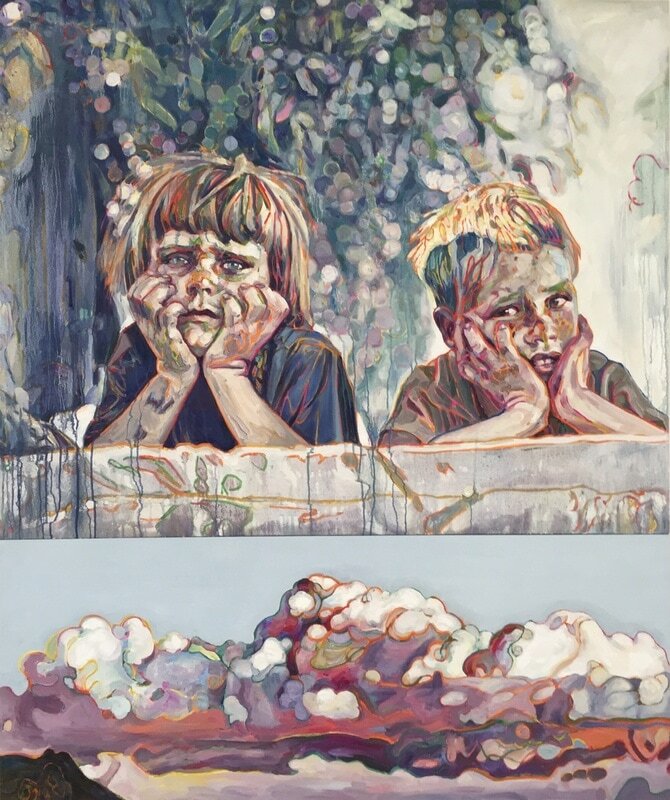 In her paintings for the Turner Carroll Gallery, collectively titled "American Dream," Liu – who is known for a fluid style in which drips and washes of linseed oil dissolve the photo-based images the way time erodes memory – seems to have developed a kind of topographic realism in which the paint congeals around a webbing of colored lines, together enmeshed in a rich surface that belies the poverty of her subjects. In this, the new paintings are more factually woven to Lange’s photographs while also releasing the energy of color like a radiant of hope from beneath the grey-tones of history.